CTET (Central Teacher Eligibility Test) is one of the most competing exams when it comes to Government jobs for the teachers. Since there is a die-hard competition, a person has to take the coaching from one of the best CTET coaching institutes in Delhi. In the sea of the coaching institutes, it’s really hard for a person to select the coaching institute by himself. So, here we are. We would help you selecting the best CTET coaching institute in Delhi so that you would be able to choose better for your career. So, here is the list. Success Mantra Delhi is one of the best coaching institute in Delhi for a reason. the coaching institute has produced some of the best results in the country in the past test. Moreover the coaching institute in Delhi has it’s own tactics to train it’s students for the test. The coaching institute prepares the students by conducting regular monthly and weekly tests. Moreover, the coaching institute also conducts daily doubt counters which helps the stu-dents to get over the overnight doubts that they have had. What’s more in the box is that most of the teachers of the coaching institute have either cleared the test or have been into a deep teaching experience for years. So if you are really into preparing for the CTET. It is the best coaching institute to prepare from. Teachwell Institute is another institute which trains the students with an objective to help the students to achieve their dreams. The institute has a student-friendly environment and the teachers teach the student with the student-oriented methodology. The institute also conducts regular tests so that the students get a grasp on the topic and get the self-assessment of themselves. However, the coaching takes care that the student’s courses are completed before the time, you can also attend the extra classes being held after the classes. So overall, it’s a complete pack for the CTET coaching in Delhi. Tara institute is one of the best coaching institutes in Delhi for a reason. this is because of the training methodology of the coaching institute. The teachers in the coaching institute follow the student oriented methodology which helps the coaching institute to deeply nourish the roots of the knowledge of the students. moreover, the coaching institute holds weekly tests which help the students to better grasp the topic. However, the coaching institute also takes care that the topics are finished before two to three months before the examination so that there is no problem for the self-study for the students. Even after that the students can go and ask their doubts from the coaching institute. Aim & Achieve coaching institute is another great coaching from the best CTET coaching institutes in Delhi. Moreover, the coaching institute also provides regular counseling to the students so apart from the CTET coaching, they may also opt for some other exam simultaneously. The coaching institute keeps the students updated about the exams and every other information which is needed for the examination. However, the selection of the students depends upon how much they follow the teachers. If they follow the teachers completely, there is nothing which can stop the students from the selection. So, give it a try. If somebody wants to become a teacher in the government or Private school, then Vidya guru is the perfect coaching institute to join. This is because of the quality of the education which the teachers provide. Moreover, the coaching institute provides practice sheets to the students so that they can understand the topic better. However, the coaching institute is full of the students, every student is given personal attention if he or she is facing any problem. Furthermore, the coaching institute also supports backup classes in case any student has missed it. So, why to worry about anything when you are in the Vidya Guru. CGS coaching is one of the best CTET coaching institutes in Delhi for a reason. The coaching offers both offline and online coaching for the students. There are multiple batch timings so that the students can study according to their convenience. Moreover, the coaching institute also provides students with backup classes. However, because of the number of students, coaching has set up a robust management system. So if you really feel like taking the CTET coaching, take a demo at the CGS coaching. UNIFOX coaching is another best CTET coaching institutes in Delhi. What special in the coaching institute is that the coaching institute gives a great mentorship to the students. The coaching institute guides students towards every step of the exam with regular updates about the notifications. Moreover, the institute takes care that no student is left without topic completion. However, if a student is left without the course completion, he can complete the course by attempting the backup classes. Unifox is surely one of the best CTET coaching institutes in Delhi. 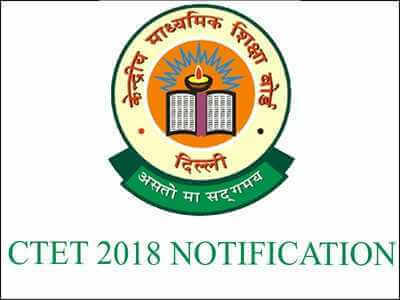 Another CTET coaching institute in Delhi, Cambridge Institute of Professional Studies has been doing brilliant in the CTET. Furthermore, the coaching institute provides some of the best test series in Delhi. Moreover, the CTET coaching institute in Delhi also provides regular Daily Practice Papers. Due to this regular practicing, the students get a better grasp on the topic. Furthermore, the coaching provides the backup classes to the students who are in need. So, if you are willing to take the CTET coaching, you can take a demo in this coaching institute. Brilliant Academy for Learning is one of the best CTET coaching institutes for a reason. The coaching institute is entirely student-oriented and the teachers follow a student-oriented methodology so that the students of the coaching institute may understand the things in a better way. moreover, the coaching institute also provides students with the regular updates so that the students don’t have to waste time finding dates about the examination. So, if you are willing to take CTET coaching, then Brilliant Academy for learning is a considerable option. Success Coaching center is another one of the best CTET coaching institutes in Delhi. you may find the plenty of crowd in the coaching institute but still, it manages to settle down on the small batches. Moreover, the coaching institute also introduces regular back up batches so that there is no problem with the students’ course. Meanwhile the students prepare for the exam, there are doubt counters to support them. 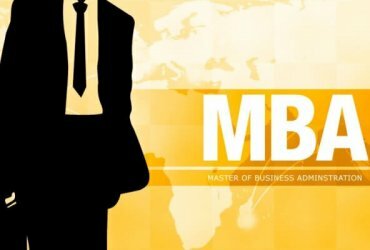 Why opt for an MBA? 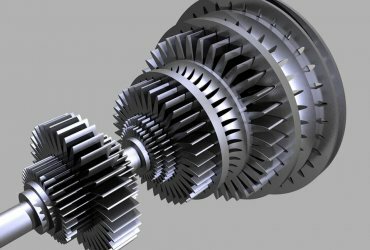 All you want to know about Engineering- DEMYSTIFIED!